MP Cheer Store will relaunch during the Fall Season!!! Thank you for your interest in the Grapevine-Colleyville Youth Football & Cheer’s 2019 FALL cheer season! 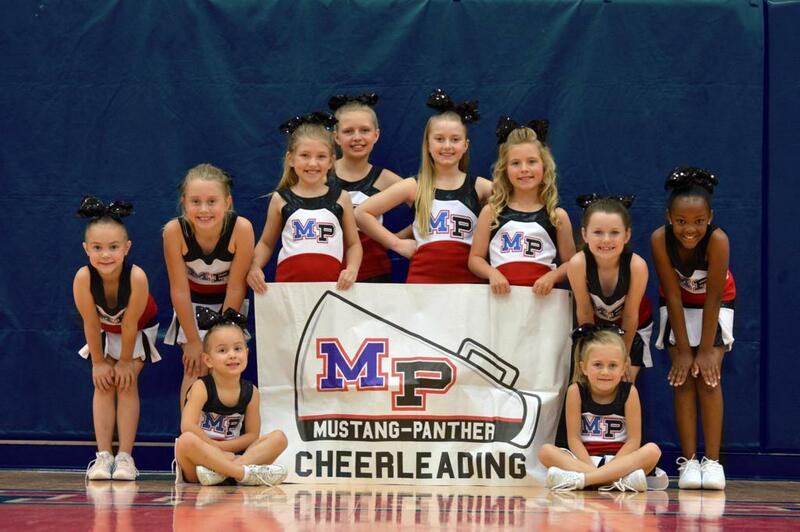 Our mission is to provide our cheerleaders with the opportunity to make friends and have fun while learning about and participating in the noncompetitive sport of cheerleading. We welcome all girls grades K-6th who want to take part in a recreational (non-competitive) cheerleading environment and who are enthusiastic about cheering our teams on to victory! MP Cheer is proudly sponsored by Hashem Orthodontics in Colleyville.